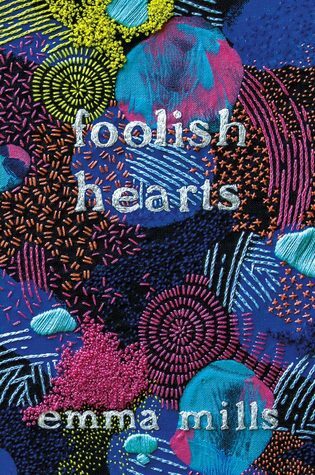 I'm incredibly honored and excited to be a part of the blog tour for Foolish Hearts! It was one of my favorite 2017 reads, and I'd highly recommend that every single one of you grabs a copy of your own to read and hopefully love as much as as I did. Anyway, for today's post, I'm really thrilled to be able to share my little gift guides for the two main characters of the novel, Claudia and Gideon. I absolutely loved getting to know both of them, and hope these gift guides give you a better idea of who they are and make you want to get to know them as well. Sword Art Online Season One DVD | Sword Art Online is a compelling story with lovable characters that centers around a group of individuals who find themselves trapped within the world of a deep-dive simulation game. As someone who enjoys online RPGs, I really believe that Claudia (and her friends and family) would really like Sword Art Online as much as I did. A Midsummer Night's Dream by William Shakespeare | Claude would likely treasure her copy of the script of the play she worked on with the others, but I think it would be lovely for her to also have a copy of the actual Shakespearean play. It would remind her of how she really got to know all of her new friends and it would be a good addition to her collection. One Direction's Four album | Because of her newfound love for boy bands, I really think that Claude would be into One Direction. (I say this as someone who is also obsessed with boy bands and loves One Direction). This is, without a doubt, my favorite album from the group! Final Fantasy XV | Though he gets into it a little bit later than Claude, Gideon also ends up playing the same online RPG that she does. While I haven't played all that many myself, I've seen friends and family play different games and would highly recommend this one for the story and the gameplay. Mini karaoke microphone | Gideon is one of those people who is instantly the life of party. I can totally see him breaking out this tiny mic and starting an impromptu karaoke session when he's with his friends. A funny tee shirt | One of my favorite things about Gideon is his sense of humor. I really feel like his goofy spirit would pair perfectly with any tee shirts with funny slogans or prints, and this one just seems like the perfect pick for the season. I really hope this little gift guide piques your interest in Claudia and Gideon! In case you want to meet either of these characters, well, I have excellent news for you - Foolish Hearts is out already. Here's a little more about this story, as well as links to places where you can snag a copy for yourself. 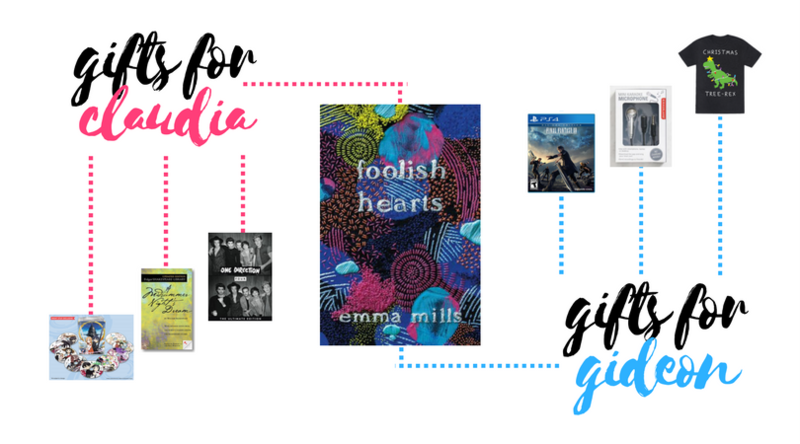 Hope you enjoyed my gift guide for the Foolish Hearts blog tour! And I also hope that you'll pick up a copy of the book for yourself, and let me know if you end up enjoying it as much as I did. Anyway, don't forget to check out the rest of the blog tour and thanks for stopping by!